Oracle Solaris OS and Systems Software Libraries l Goes to Oracle Solaris and other system software documentation. Oracle Integrated Lights Out Manager (ILOM) Libraries l Goes to the Oracle ILOM documentation. Oracle VM Server for SPARC Libraries l Goes to the Oracle VM Server for SPARC documentation. 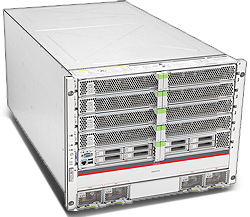 SPARC T5-8 Server Product Page l Learn about product features, specifications, and offers. My Oracle Support l Goes to product updates, best practices, and knowledge management information. Oracle University l Goes to Oracle University courses and certification programs. Oracle SPARC Server Technical White Papers l Goes to the Oracle SPARC technical white papers page.